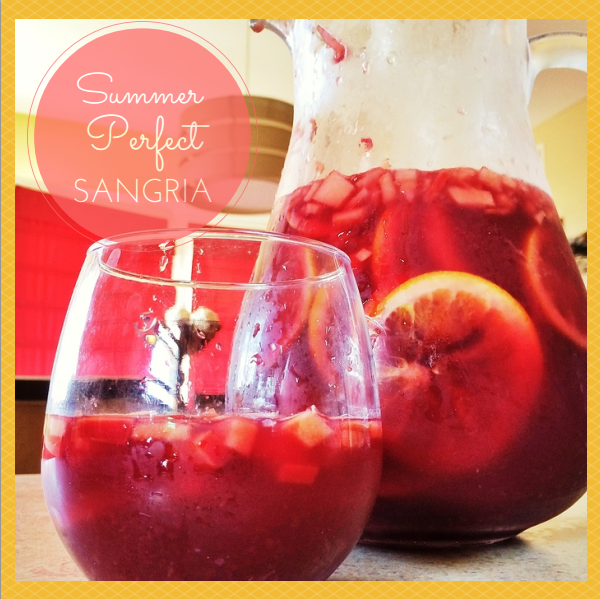 It's finally starting to warm up a bit here in Chicago and so I thought I'd whip out one of my favorite summer perfect drink - Spiced Rum Sangria. Dice the apple and slice the lemon, lime, and orange into thin rounds. Place in a large pitcher and pour rum and sugar. Stir and chill for about 2 hours. This will help develop the delicious flavor. When ready to serve, crush the fruit lightly with a wooden spoon and stir in the wine and orange juice. Then serve it on the rocks! Sometimes I add maraschino cherries and carbonated water for an extra splash. I suggest you try this too. Either way, they are both delicious and easy to make.